In the renovated and restored, historic Casitas de Cochran in the Miracle Mile, north of Wilshire. Does not include balcony, it's on the right, north side, note: this unit does NOT have a balcony. Very light and bright. New kitchen with stone, stainless, dishwasher, vintage stove and new 2nd 3/4 bathroom with shower, en suite. Main bathroom has separate shower and tub. Hardwood floors throughout. Parking for one car. Very spacious and wonderful art deco 30's Spanish details. 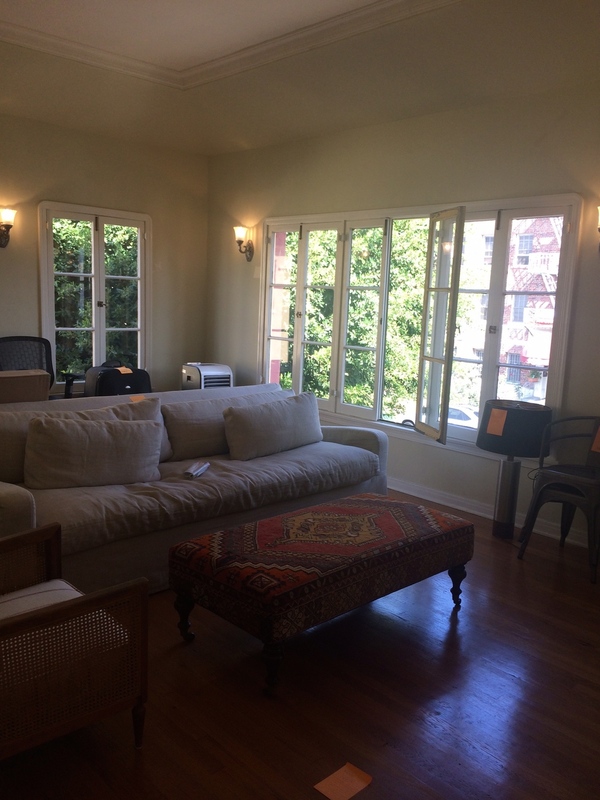 Walk to Wilshire, eateries, metro, Tar Pits, Museums, clubs, just an incredible location. Adj to The Grove, Pan Pacific Park, La Brea, Farmer's Market, Beverly Hills, Fairfax, Larchmont and Design District.